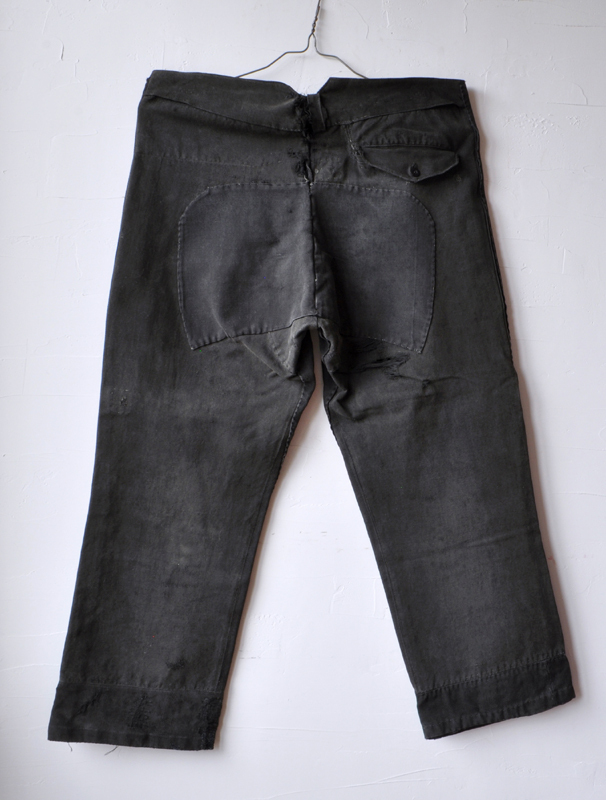 Old Japanese black boro pants 1934 (Dealer: hotoke) – Intentionally or unintentionally, quite a stylish “garcons”-like form in the blackness designed with such boro-repairs. Still some raw damages as holes and rips, though. Coming from a pile of old textiles as someone’s possessions attached with a note indicating its name of Mr. Koichiro Osuka and its date of Showa 9 (1934) during WWII.